Hyaluronan (hyaluronic acid,hyaluronate,HA) is an anionic, nonsulfated glycosaminoglycan distributed throughout connective, epithelial, and neural tissues. It is unique among glycosaminoglycans. HA forms in the plasma membrane of cells instead of the Golgi, It has a molecular weight often reaching the millions and it’s non-sulfated. Glycosaminoglycans are long unbranched polysaccharides consisting of a repeating disaccharide unit and are typically formed within the Golgi of a cell. Protein manufacturing ribosomes on the endoplasmic reticulum of a cell produce protein cores that are posttranslationally modified by glycosyltransferases in the Golgi apparatus. Disaccharides are added to protein cores to yield proteoglycans. The exception the the typical production process glycosaminoglycans is the method in which Hyaluronan is produced. HA is uniquely synthesized without a protein core and is “spun out” by enzymes at the cell surface directly into the extracellular space. Extracellular space is the name given for anything that exists outside of the biological cell. Typically Extracellular space includes water, fluid, plasma membranes, etc. Metabolites, Proteins, ions and non-protein substances can be found within the extracellular space. Though extracellular, or “outside the cell” sounds minimal in importance, this space is the actual matrix of the intra-body logistics system that is comprised of thousands of miles of microscopic plasma membrane pathways. These pathways carry the cellular supply and take away cellular refuse. The extracellular spaces is made up of roughly 30% of a humans water content. Hyaluronic acid in the extracellular space confers upon tissues the ability to resist compression by providing a counteracting turgor (swelling) force by absorbing significant amounts of water. Hyaluronic acid is thus found in abundance in the ECM of load-bearing joints. Hyaluronan also plays an important role in the vitality of our joints. The heath and function of the joints is dependent upon hyaluronan and is a major component of synovial fluid. We often hear the term synovial fluid in yoga class as it pertains to the movement of the joint. 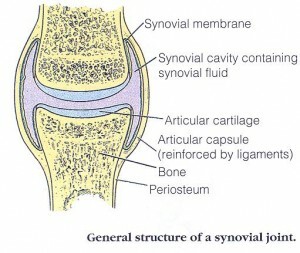 Synovial fluid is a viscous fluid found in the cavities of synovial joints and its’ principal role is to reduce friction between the articular cartilage of synovial joints during movement. 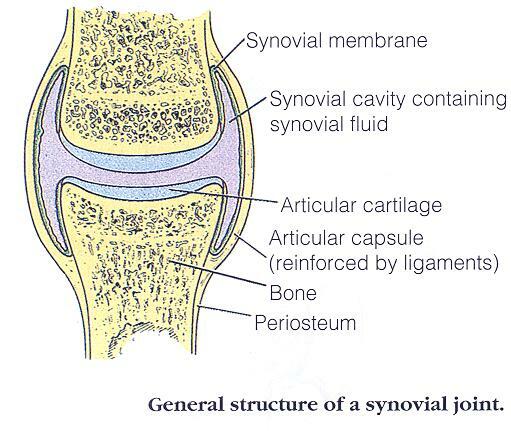 Synovial Joints are encapsulated by a membrane that contains and secretes synovial fluid into the synovial cavity. Aside from lubrication of the joint, synovial fluid provides shock absorption for the joint and supplies oxygen and nutrients to the cartilage in the joint and moves out carbon dioxide and metabolic wastes. It is interesting to note that Synovial Fluid is rather thick and viscous during rest but become thinner and less viscous when agitated. The idea that yoga is great for the health of the joints relates to articulation of the joints circulating synovial fluid within the syonvial cavity. The synovial fluid gets agitated, viscosity decreases metabolites are moved away from the cartilage and replaced with oxygen and nutrients. Also, stimulation of the synovial membrane triggers production of Hyaluronic acid. Researcher scientists at Yakult Central Institute for Microbiological Research have performed experiments that concluded that Genistein and daidzein (isoflavone compounds derived from Soybeans) stimulate hyaluronic acid production. These findings point to additional benefits of eating plant based diets high isoflavone compounds. 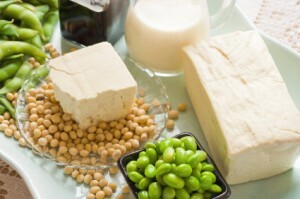 Isoflavones almost exclusively come from the Fabaceae or Leguminosae family (legumes) also commonly known as the bean family. Research suggests that routine articulation of joints through their full range of motion and having a diet with moderate amounts of of isoflavone compounds may support healthy hyaluronic acid production. Though Hyaluronan plays in important role within the joints, it is an integral compound to other functions of the tissues. 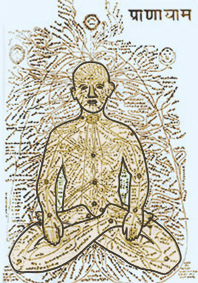 There are also theories that suggest what yoga refers to as the nadis, (meridians in chinese medicine) may be constituted of hyaluronic acid and water. These nadis, or channels are theorized to reside in the extracellular matrix within the body and carry the life force prana (Sanskrit) or qi (Chinese). The action of forming extracellular fluid is attributed to the hydrophilic (water attracting) principles of hyaluronic acid. HA can Bond x1000 times it’s own weight in water molecules, thus creating bonded networks of the extracellular matrix. As health conscious yogis, we are focused on what is proper for the mind and the body. Specifically, what is good for the joints, muscles and state of mind. We combat the destructive forces within the body by reaching for food choices with antioxidants or what supplement is most fashionable at the time. We are adamant that we make choices that are healthy for our heart. We judge our internal function by superficial queues such as skin tone, weight, or even iridiology. But if we truly believe in manipulation of prana, and believe that putting the body in various postures is supplementing joint health, then perhaps we should focus more on choices that support production of hyaluronic acid and healthy extracellular fluid. How can we assist the body in this aspect of health? Foremost, ensuring your daily intake of water meets the dietary standards of eight glasses a day. This ensures that the body has enough water for excretion of toxins and replenishment of fluids. In addition to healthy water intake, ensure your diet includes portions foods containing isoflavones such as soybean, beans, peas, chickpeas, peanut, carob and licorice to name a few. 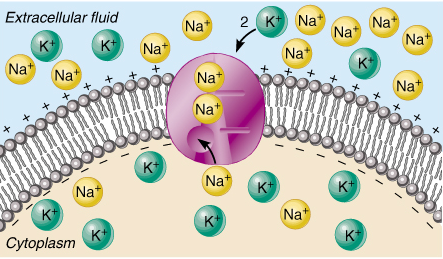 Because Extracellular fluid functions by osmotic pressure, proper intake of electrolytes, (specifically sodium) is an important factor to consider. Osmotic exchanges take place between the microscopic capillaries and body tissues. Water or more correctly, intracellular fluid (which contains oxygen, proteins and carbohydrates among many other nutrients) pass through the capillary walls and into the extracellular fluid. The Extracellular fluid is actually responsible for carrying and transporting the demands of the bodily cells. This matrix exists between cells, flowing like a river of life. The cell takes what it needs and gives up what is waste. So now you see, thanks to hyaluronic acid and the extracellular fluid it supports, it really is possible to breathe into your joints.